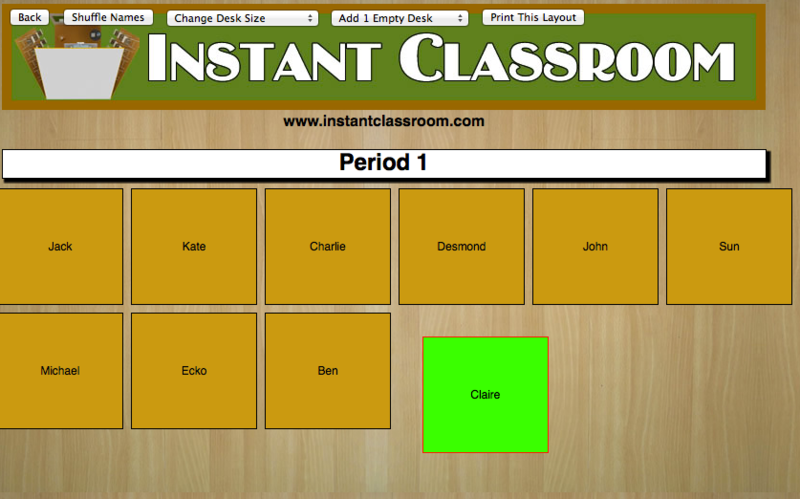 Instant Classroom will let you create free seating charts for your classroom, as well as randomly draw student names from class lists and make random groups from among your students. Give your group a nickname. Choose wisely, it cannot be changed later! 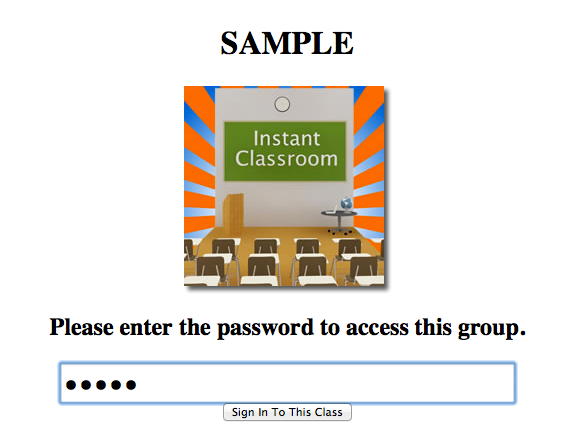 If the name you chose for your group is available, you will be prompted to enter a password, your name, and email address to create the group. You will receive confirmation that your group has been created. You will also receive an email with your group details. You can click the link to get started. Should you ever forget your password, you can have the site email you a rescue link. Once you sign in, you will see a list of your groups. You can have as many groups (classes) as you want under the same sign in. 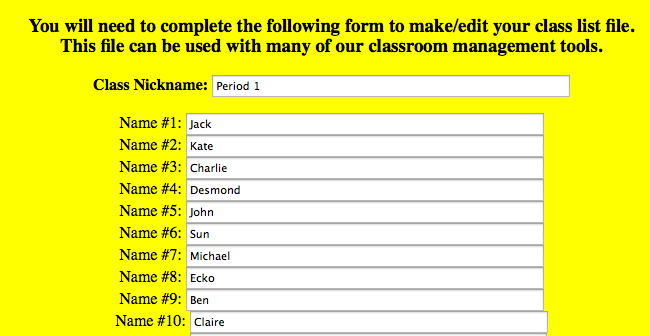 Give your group a name, then enter a name for each student/member of the group. You can enter up to 100 names. 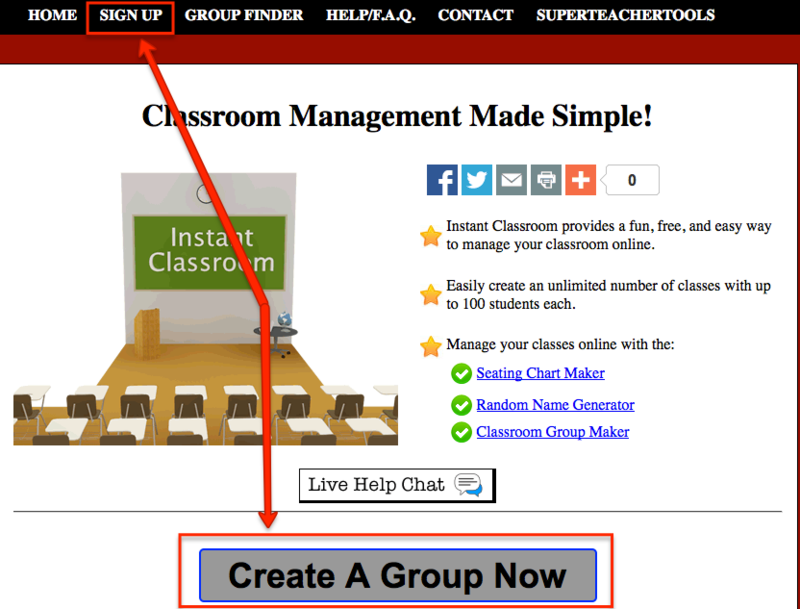 Once you have created a group, you will see that group on your dashboard with all of the option available for groups. Read on to learn more about each tool. 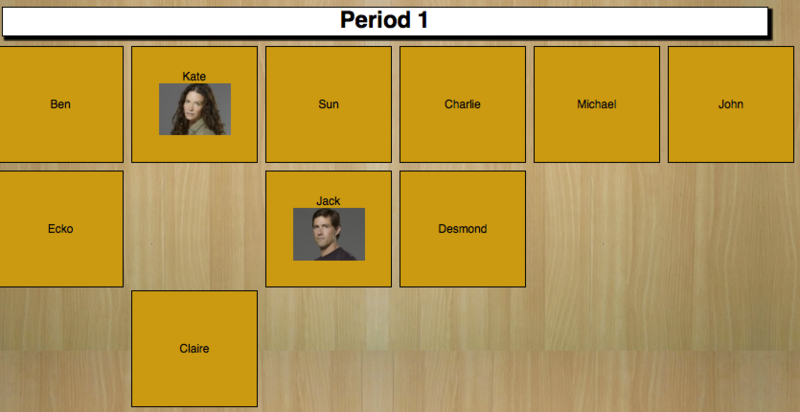 The seating chart tool will allow you to arrange your students in whatever configuration you like. You can drag and drop students into place by hand. You can also click Shuflle Names to randomly place students. You can change the size of the desks to accomodate larger groups or add empty desks without names. Be sure to click Save Changes before you finish. There isn't much to know about the random name generator. It will shuffle the names of your group members differently every time you reload the page. You can advance to the next name by clicking arrows or hitting the arrow keys on a keyboard. The Group Maker is also relatively simple. 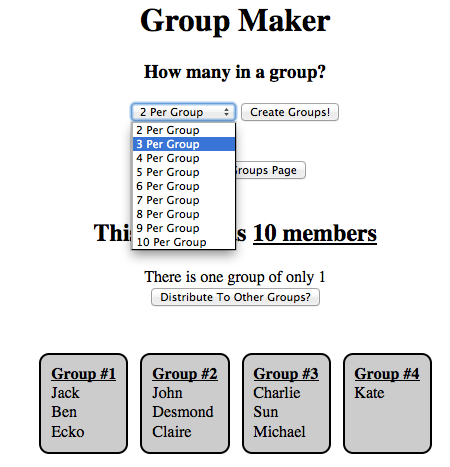 Choose the number of students you would like in each group and the group maker will randomly cluster them together. 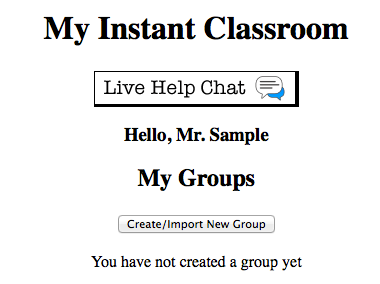 You can also choose Distribute to Other Groups to place extra students in other groups so there are no small groups. You can click the pencil and paper icon at any time to add or remove group members. 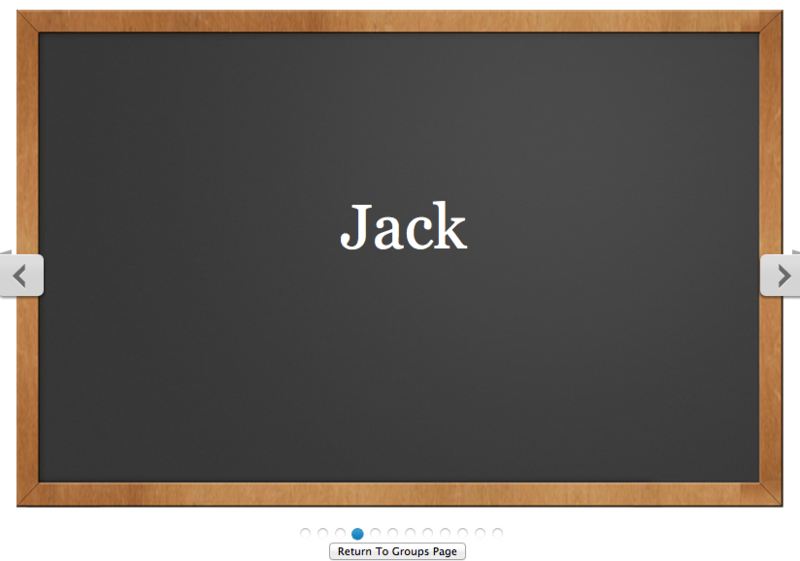 You can also add photos to your group so that pictures can be displayed on seating charts and other tools. 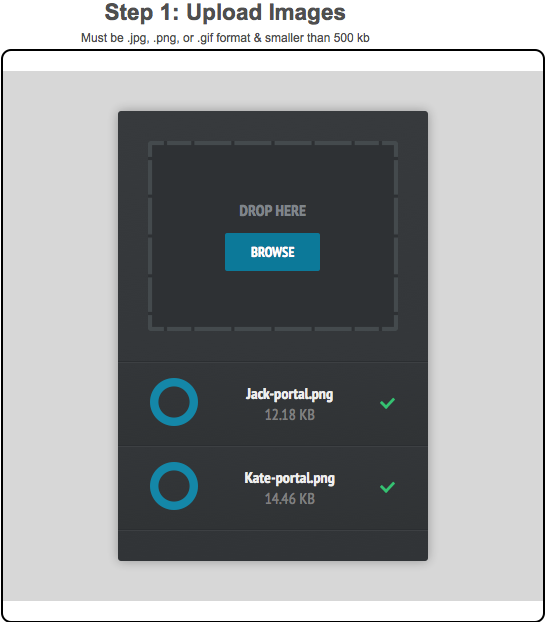 You can browse for pictures or drag and drop them onto the box for Step 1. 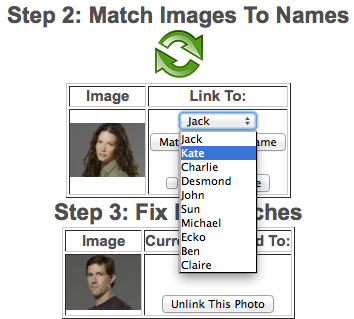 Then you must match the images to names one by one. That's all you need to know (for now)!